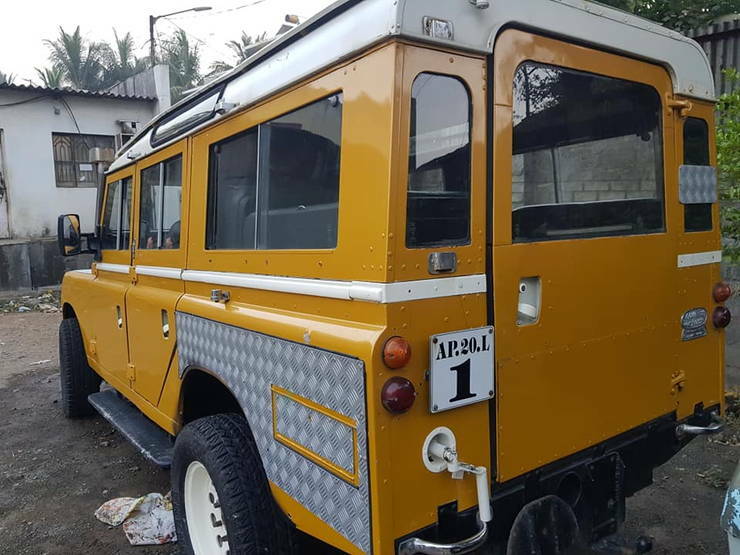 This beautiful Land Rover Series III is CHEAPER than a Mahindra Thar! It is said that around three fourth of all the Land Rover vehicles ever produced are still running. Land Rover vehicles were built on purpose to take on the heavy abuse thrown at them without any hiccup. The Land Rover Series III is probably the best selling series model by the company, which also consists of the Series II an the Series I. 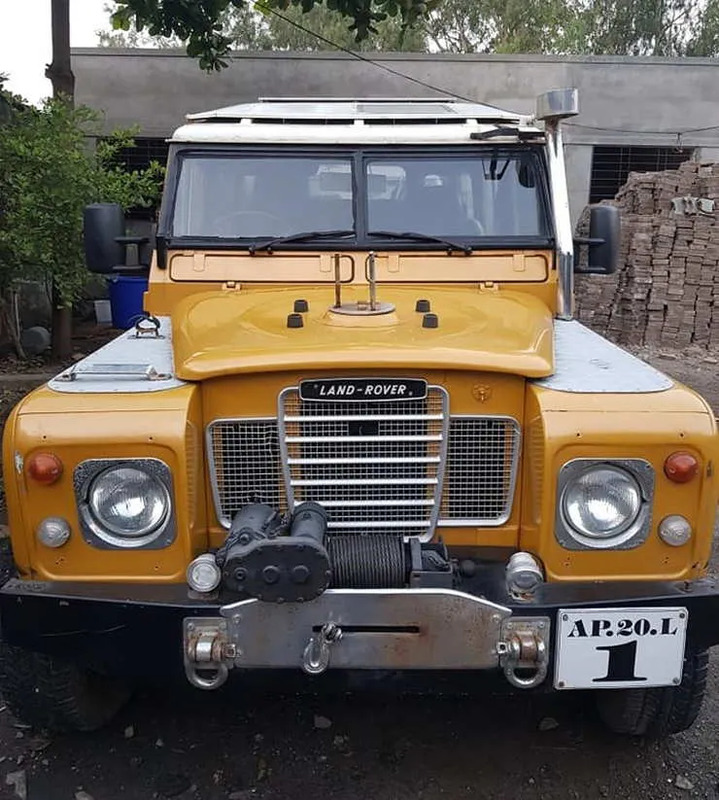 Now, a Land Rover Series III has come up for sale and it is a RHD version of the car. Seen below is the same SUV, finished in yellow and silver and standing in its full glory. The Land Rover Series III was in production from 1971 to 1985. The sturdy vehicle has an aluminium body which is the reason why its body does not catch rust. Coming to the vehicle featured here, it has a registration date of 1987. It has been registered in Andhra Pradesh and has a special VIP number on it to boot. A whole lot of changes have been made to this rugged SUV, including both cosmetic and functional changes. The front bumper, for instance, is a custom unit with an electric winch mounted on it along with tow hooks. The Land Rover Series III featured here is powered by a Land Cruiser Prado’s 1KZ engine. According to the owner, the engine is in excellent condition and still runs quite smoothly. The interiors of the car also have been customised by the owner and have been fitted with AC to help with the hot weather conditions we have. The interiors are done in all black with matching leather upholstery. Though the Land Cruiser Series III is a vehicle built for rough and tough use, good interiors on any car are always a welcome. Also, compared to today’s standards, one would find the interiors to be spartan. But keep in mind that we are talking about a vehicle which is more than 30 years old and so it can’t be compared to modern day vehicles. 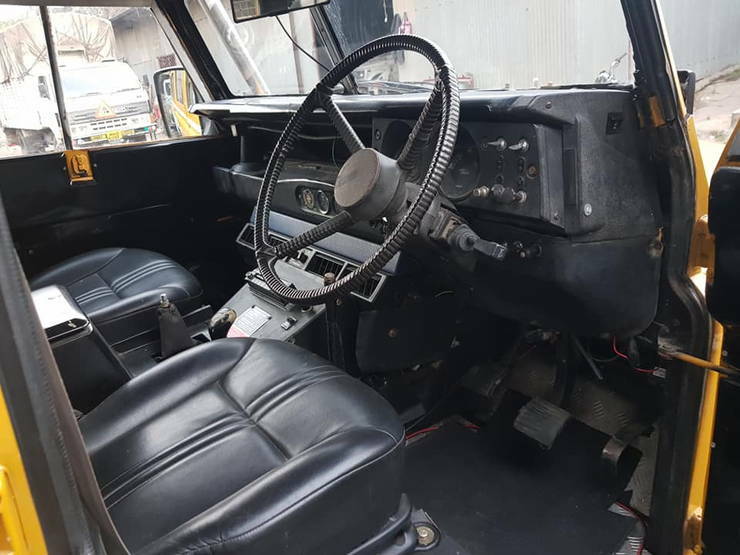 As evident form the pictures, the Land Rover is in immaculate condition and is quite well maintained. The white rims further add to its retro cool look. To let you know, the model here is the LWB (Long Wheel Base) variant. The SUV has been painted in a shade of golden yellow with white highlights. The roof has been done in complete white which creates a visually pleasing contrast. If you are interested in vintage vehicle and more so in old jeeps and SUVs, this one is the perfect deal for you. 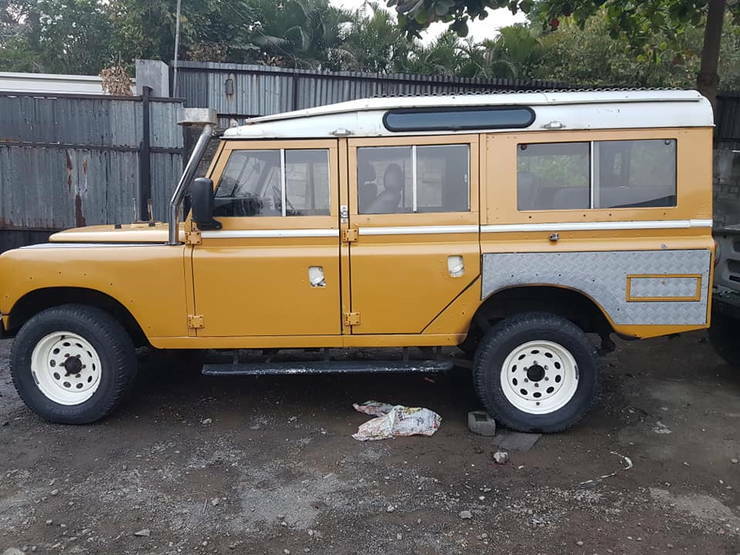 The seller is offering this LAnd Rover Series III SUV at a price of Rs. 7 lakhs. Considering the value of the old rangie as well as the excellent condition it is in, the price seems to be quite reasonable. Down below is the link to the seller, which will lead you to his page with his contact information.